More than 300 exhibitors from 30 countries including the biggest brands in the world are expected to participate in the upcoming launch edition of The Big 5 Heavy, a unique showcase of machinery for heavy construction in Dubai, UAE. The event runs from March 26 to 28 at the Dubai World Trade Centre. With 22,902 active projects in the GCC alone, valued at a total $2.4 trillion, international attention towards The Big 5 Heavy in Dubai reflects the promise and opportunity afforded to professionals by thriving construction activity in the UAE and the GCC region as a whole. With a ‘Made in Germany’ pavilion of over 1,000 m2, European interest in the region will be prominent . Other exhibiting companies from Europe include UK, Italy, Spain, France and many more. Support also comes from the West with The American Concrete Institute set to update visitors on the latest concrete codes and standards in a series of workshops across two days. 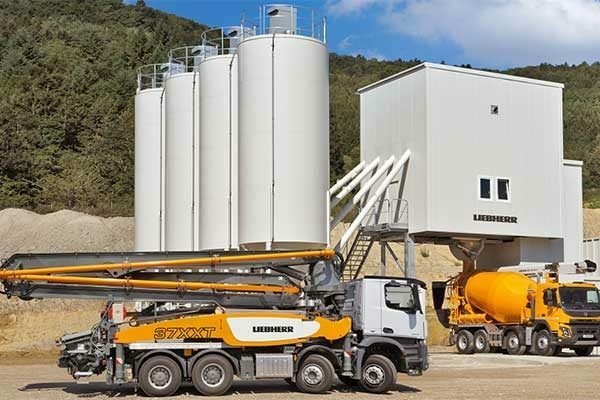 Liebherr will join CIFA in showcasing concrete pumps at the event, alongside the event’s official Lubricant Sponsor, Caltex, exhibiting their premium range of lubricants for heavy machinery. The world’s largest construction machinery manufacturer Caterpillar (represented by Al Bahar) will exhibit alongside Hitachi and Raimondi who will both showcase a variety of new cranes. “The UAE is a progressively growing hub and this attracts more people, businesses, investors, activities, exhibitions, world expos, and tourists. Obviously this creates huge demand for services, infrastructure and all related construction projects,” said Ali Kassem, regional sales manager for German Exhibitor Liebherr. “In addition, a packed agenda of 40+ free to attend workshops designed to assist construction professionals in their jobs offer attendees CPD (Continued Professional Development) certified points. The event will showcase innovative solutions and products clustered into five sectors: Middle East Concrete, PMV Live, Foundations & Geotechnical, Mining & Quarrying, and Road Construction. The Big 5 Heavy will also feature a broad educational agenda with CPD-Certified Talks, a Live Demo Area, the brand new Innovation Trail, the Scaffolding Climbing Challenge, the Inspiring Infrastructure Award and The Big 5 Heavy Product Award. Organised by dmg events Middle East, Asia & Africa, the event is the re-launch of the former Middle East Concrete and PMV Live shows, part of The Big 5 portfolio of events.